The Walking Dead reveals the fate of Maggie and Sasha with an episode at the Hilltop Colony. The Saviors aren’t going away anytime soon, and the problems that existed at the Hilltop remain. 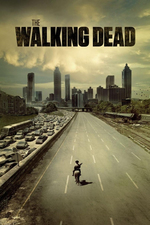 While the fate of Maggie and Sasha is determined, Enid and Carl take a journey to the Hilltop. The dead abound, both in memory and as walkers, but “Go Getters” focuses on how the living move forward. With the exception of “The Well,” the pacing of The Walking Dead in Season 7 hasn’t always given us time to breathe, let alone think and feel. After several weeks of dread and despair, both during and after the show, “Go Getters” weaves a rich story that allows us to embrace a full range of emotions. “Go Getters” was helmed by new series director Darnell Martin (Law & Order, Grimm) and experienced series writer Channing Powell (Remember, Heads Up, East). They provide some of the beautiful road scenes we’ve been missing on The Walking Dead, even allowing us a moment of joy as Enid and Carl roller skate down the roadway holding hands. Martin and Powell give us a little bit of everything. There’s an exciting action scene with a Finlandia-fueled walker invasion of the Hilltop. The drama around Maggie and Sasha staying at the Hilltop is accentuated by a visit from the Saviors. There’s even a little romance, as Enid tries to convince Carl not to go after Negan. There are a few heartbreakingly emotional moments—hearing the baby’s heartbeat, Maggie and Sasha at the burial site, the necklace Rosita made for Abraham, Carl talking about what he witnessed, and Maggie telling Gregory that her name is Maggie Rhee. After witnessing the dejected atmosphere in Alexandria in “Service,” it’s good to get away from that community for a bit. Everyone seems to want to get away from Alexandria. Rick and Aaron are going out to scavenge for supplies to satisfy the Saviors’ weekly demands. Michonne wants to figure some things out, as she’s not sure she can support Rick’s plan to submit. Meanwhile, Enid’s had enough of Alexandria and wants to go to the Hilltop to see Maggie. Carl tries to stop her with a weak protest that he’s not saving her anymore. Then he remembers that he’s a teenage boy and follows her anyways. Their transportation devolves from bicycling and driving to walking and roller skating. After some hand-holding and baring of souls, it becomes clear that Carl has his own agenda. Assuming Carl survives his trip to kill Negan, let’s hope there’s more skating in these kids’ future. We kinda love the Carl/Enid narrative, but hopefully The Walking Dead will develop Enid on her own a bit more. Maybe give her some real agency, or at least some additional dialogue. Don’t let Enid fall prey to the role of a female character used to further the plot of a male character (e.g. Jessie). Maybe now that she’s in Hilltop with foster mom Maggie, her more dynamic side will be revealed. On the other hand, there are aspects of this narrative that are unrealistic at best. Enid hears a zombie and stops to get off her bike instead of riding on. She must be getting soft because that’s not the action of someone who wants to J.S.S. And did Carl actually destroy a car to kill one zombie? Perhaps that one we can chalk up to teenage recklessness and male bravado. Another aspect of this story that was hard to believe was that someone was carrying around two sets of roller skates in a backpack during the zombie apocalypse. We’re hoping that this means they’ll eventually come upon a Sonic-based community where everyone gets around on roller skates. Carl’s departure from Alexandria leaves us with many questions: Who is watching Judith? Did Carl or Enid leave a note? Did they learn nothing from the sudden departure of Carol, and then Daryl, that sent half of Alexandria right into the Saviors’ trap at the end of last season? Doesn’t Carl realize Rick is going to go after him? And does he really think trying to kill Negan on his own is a solid plan? Carl’s impulsivity and poor decision-making may be influenced by his adolescence—after all, he’s dealing with out-of-control hormones and an underdeveloped prefrontal cortex—but it’s driven by his rage. Rick probably should have grounded Carl after that whole medicine incident anyways. At least Negan took Carl’s gun away to punish him for his sassiness. Now Carl has taken off, without a gun, with a crazy plan to kill Negan. That’s what you get with permissive parenting, Rick. At the Hilltop, Maggie and Sasha, and the audience, are reminded how awful Gregory is. Not in a sadistic killer way like Negan, but in a creepy bureaucrat way. He represents the worst in government leadership—selfishness, corruption, and the inability to get things done. Gregory is too afraid of the Saviors to let Maggie and Sasha stay, and yeah, it’s weak, but it’s hard to blame him. Simon the Savior puts Gregory in his place. Apparently to be one of Negan’s lieutenants you must learn to enunciate well and smile threateningly. Gregory tries to turn over Maggie and Sasha to the Saviors, but Jesus anticipates his weakness and has stashed them elsewhere. Instead, it’s Gregory’s Scotch that the Saviors end up taking back to the Sanctuary (plus a couple of hitchhikers). Eventually, Jesus challenges Gregory and gives him no choice but to let Maggie and Sasha stay. Maggie may be able to put those leadership lessons from Deanna to work if Jesus has anything to say about it. Jesus doesn’t want to lead himself because he’s too busy scouting and being a kickass ninja assassin. Maggie is one tough lady and we’ve never liked Sasha better as protector and kickass street fighter. Maggie and Sasha kind of fade into the background with their Alexandria crew, but put them in the Hilltop and they’re superstars. How did the Hilltop survive all this time when Jesus was out scouting? Even when Savior-sponsored flames and Sibelius drew walkers into their compound, no one did much of anything except the ladies from Alexandria, and then Jesus. Weird. Well, now the Hilltop will have the widows to watch over them. With Jesus on a mission to find Negan’s home, the Hilltop can use Sasha’s muscle and Maggie’s quick thinking. “Go Getters” reminds us what we like about The Walking Dead—strong characters who do interesting things that give us hope. Despite the need to suspend our disbelief at times, we like how the episode came together. The mixed narrative creates a better rhythm to the show and increases the story’s complexity. Whereas most of the episodes in Season 7 of The Walking Dead have left us crawling into bed feeling kind of awful, “Go Getters” was a return to the quality we expect in this series. Let’s hope The Walking Dead continues on this path.